A celebration of life and works of art fully immersed in its visual abstraction- RECALIBRATION, Edwin Wilwayco's One-Man Exhibition opens at July 8-31 in Momentous Arts, Singapore.If you're in Singapore, please drop by. You're all invited. Momentous Arts presents Recalibration – a solo exhibition by acclaimed painter Edwin Wilwayco. 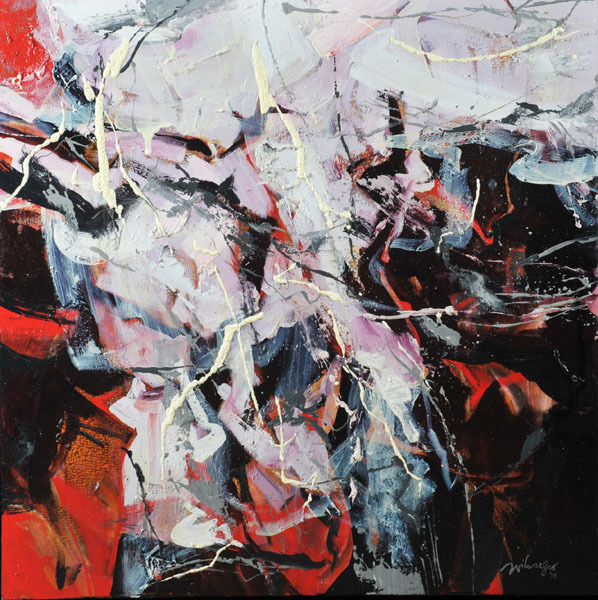 With more than three decades of sustained dedication to abstract painting, Wilwayco is regarded as one of Philippines important artist in the field of abstraction. He has been a major contributor to the development of abstract art in his country and is best known for his lush and lyrical paintings. The series of works created over a period of nine months in his two studios in Rhode Island and Manila, incorporating improvisation in both techniques/processes that created new meanings and in dialogue with the mystifiying forces of nature. Wilwayco signature oeuvre is informed by deep spirituality, self-introspection and a reverence for the beauty and power of nature. The process of painting, an integral part of his artistic practice unfurls what the abstract master has come to be known for : lyrical & eloquent brushworks. The lush paintings of Wilwayco with their immediacy and accessibility in particular the artist’s construction process- painterly marks, deep passages, over painting animated with playful elements of drips and dribbles with the occasional adding of sand and sack cloth; keeps the viewer fixated on a surface adventure and affirms the artist passionate devotion to Abstract Expressionism. Their emotive power articulated across many levels from the tranquil to the exuberant and vigorous; expressively nuanced by colours and gestures. It is this that lends Wilwayco flowing paintings their intense vibrancy and energy.